BossJansen is a South African focused executive search company, specialising in 4 main segments – Executive Search in South Africa, Executive Search on the African Continent, Non-Executive Directors and Training & Development of In-House client sourcing teams.BossJansen is considered one of the leading Executive search firms in South Africa. Established in 2008, BossJansen holds a proud and successful track record, underpinned by unsurpassed service quality and long standing relationships that have been built on sincerity, honesty and a real understanding of our clients and candidates businesses and needs. We partner with our clients to assist them in building strong leadership teams to ensure the continued success of their businesses. As brand ambassadors for our clients, we skillfully procure the best talent in the market with the utmost of integrity and diligence. Our team is made up of professionals from diverse industry backgrounds that have both strong local and international experience. Our business is our relationships and as such our network of senior skilled professionals in the South African marketplace is unsurpassed. BossJansen is a boutique executive recruitment company based in Johannesburg, South Africa. The team is made up of highly experienced consultants, supported by a vastly experienced and effective research team, who are absolute specialists in executive placements and headhunting methodology. We are adept at sourcing candidates who possess the leadership skills and track record to take up key senior positions within leadership teams, predominately at Board and functional head level. Our clients include MNC’s, SMEs and public sector organisations. We have also assisted start-ups in Africa seeking entrepreneurial leaders to grow their businesses and share in the reward this brings. Integrity lies at the core of our service offering. Building trust and rapport with both clients and candidates is key to our success. We are vested in ensuring that there is a meeting of the minds for both parties, leading to a successful placement. This can only occur when there is a real understanding of our clients’ requirements and culture, which means we get to know their business intimately. Similarly, we align the aspirations, skills and abilities of potential candidates to opportunities only by truly getting to know them face to face and having the necessary open and honest conversations and in-depth discussions to ascertain fit. 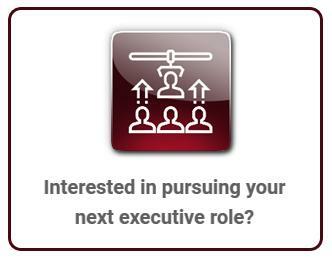 The top-performing executives in the market are highly valued existing employees and are not actively pursuing new career opportunities in the market. They are well rewarded and their employers wish to retain them at all costs. Procuring these candidates in the market requires diligence and the skill that comes from many years of experience carefully approaching and winning peoples trust, in order to establish interest and disposition toward a potential career move. Having conducted an in-depth study and analysis of why senior executives typically leave an organisation quickly after joining, it is mainly due to cultural misfit. Senior executives will not stay if they are not aligned culturally, hence we ensure that we go to great lengths to understand the pervading culture within our client organisations and to assess closely potential candidate fit. Whether the requirement is for a local national or an expatriate to take up a senior position, we are experts at sourcing the right candidates to present to our clients, no matter the global geography. 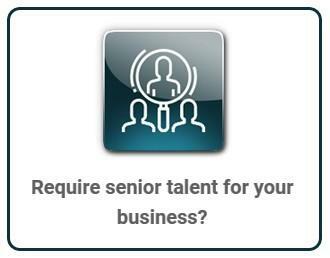 We are specialists in the South African and African marketplace and have a successful track record of shortlisting the absolute leading senior executive talent on behalf of our clients. 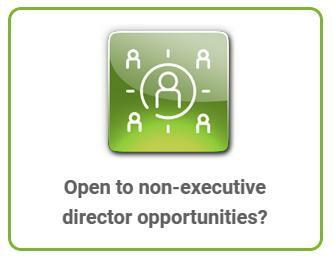 We have always viewed Executive Placements as a partnership with our clients. After all, it is all about relationships and assisting people to secure desirable career opportunities at the senior level and then continuing to build on these relationships way into the future. It is about working closely with our clients to ensure they attract the absolute best in the market. In today’s competitive environment, companies cannot afford to make bad decisions and rely on us to ensure they are sourcing the best-performing people available.